Your feedback is very important to us, please don’t hesitate to contact us if you experience any technical issues or have any questions, feedback or improvement suggestions. Your privacy matters to us, view CallApp’s ‘Privacy and Terms of Service’ for more information. We urge you to follow us on the Facebook, Twitter, Instagram and LinkedIn to get CallApp’s latest updates. Edit / Rename / Delete a contact? Change the social media info linked to a contact? 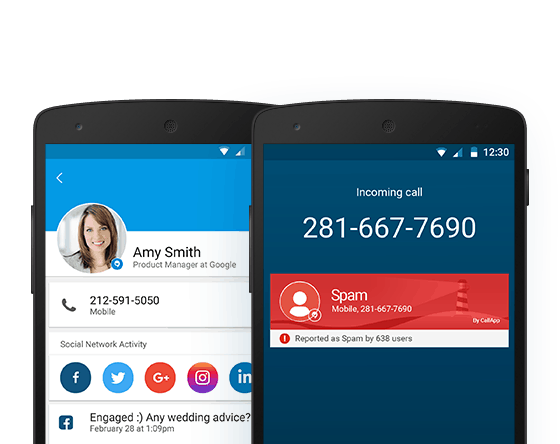 Do I have to use CallApp as the dialer to get Caller ID? Can anyone see my private information from social networks? Can CallApp identify other callers even if they don’t have CallApp? Do contacts can know that I am blocking them?